The team at Capitol Subaru of Salem wants to help you acquire a new 2019 Subaru or used car at our greater Salem dealership. 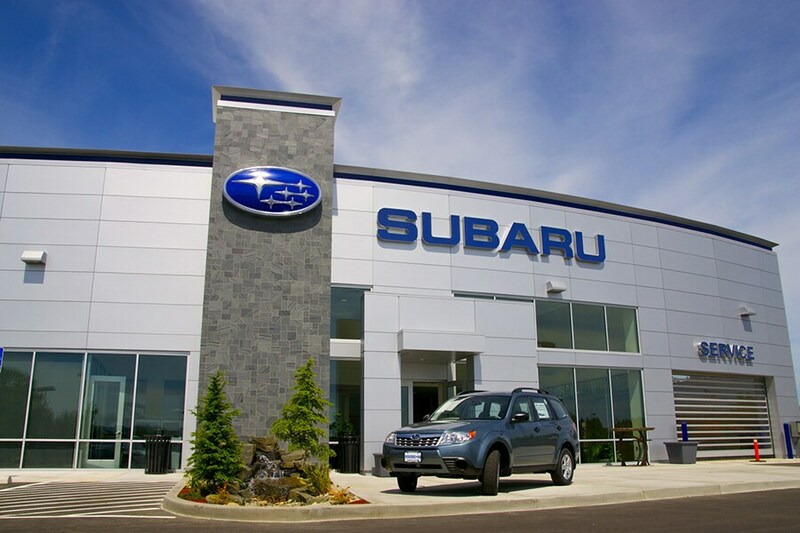 If you decide to visit our Subaru dealership, you will get exceptional customer service and quality cars. We have many years of experience within the Subaru brand, our sales staff will help get you into the right new Subaru or used car. Get the right car you've been looking for by calling us or visiting Capitol Subaru of Salem today. We proudly serve the areas of Keizer OR, Monmouth OR, Dallas OR, and Lincoln City, Oregon. Let an expert from our sales team go over all of the features of your favorite Subaru. Salem customers choose Capitol Subaru of Salem because we are committed to leaving you 100% satisfied with your purchase. With everyday low prices and a huge selection of new and used Subaru cars, save time and money by visiting Capitol Subaru of Salem first. We feature all of the most popular 2019 Subaru cars including the new Outback, Forester, Impreza, Legacy, , BRZ, and Crosstrek. In addition, we are very excited about adding the 2019 Subaru Ascent SUV into our model lineup.Contact our sales team right now by phone at (888) 698-1973 and we can arrange a test drive for your desired vehicle. Looking for a used car in Salem? We have a comprehensive selection of reasonably priced high quality used cars and Subaru vehicles, we have the perfect car within our inventory. Our used car inventory has many used cars, SUVs, trucks, and vans from today's top car manufacturers. If you have been unable to find a specific used car in the greater Keizer OR, Monmouth OR, Dallas, OR, and Lincoln City, OR area, we are standing by ready to help. You can always complete our CarFinder form and our team will begin looking for you desired vehicle, once it arrives at our Salem, OR, dealership we will reach out and contact you. Interested in getting a car loan in Salem? Talk to the financing experts at Capitol Subaru of Salem. We work with many lenders and we'll take the time to understand your specific needs, we can customize a car loan or lease to fit your individual situation. We can adjust the length of the loan to keep monthly payments low, we will do whatever it takes to help you. Call us today or stop by our Subaru dealership to speak to one of our financial representatives. At Capitol Subaru we want you to get the most miles out of your new or used car which is why we offer services to keep your vehicle in top condition. Our greater Salem Subaru car repair center features some of the area's most skilled mechanics. Sign up for a service appointment online and our auto technicians will get your Subaru repaired as quickly as possible. Capitol Subaru also stocks a comprehensive inventory of Subaru car parts so that you can repair or customize your automobile. Our parts specialist are standing by to help locate the component you need to get your Subaru car on the road of Keizer OR, Monmouth OR, Dallas OR, and Lincoln City, OR. We hope to have the opportunity to meet you soon at our greater Salem Subaru dealership. Our helpful staff is always available to answer any question you may have about purchasing a new or used car, financing, repair or car parts. Call Capitol Subaru today or follow directions from Keizer, Monmouth, Dallas, OR, and Lincoln City, OR and stop by our dealership located at 3235 Cherry Ave. NE., Salem, OR.